The famous Wailing Wall or Western Wall is a great architectural monument and one of the holiest sites of Judaism and Jerusalem. Every day, the Wailing Wall is visited by thousands of tourists and pilgrims from all over the world, each of whom composes a prayer and leaves a note with their wishes inside the Wall’s cracks. Pilgrims have included many notable people: presidents of different countries, officials of various ranks, and celebrities. For nearly 2000 years the Wailing Wall by the Temple Mount in Jerusalem has been a great mystery. 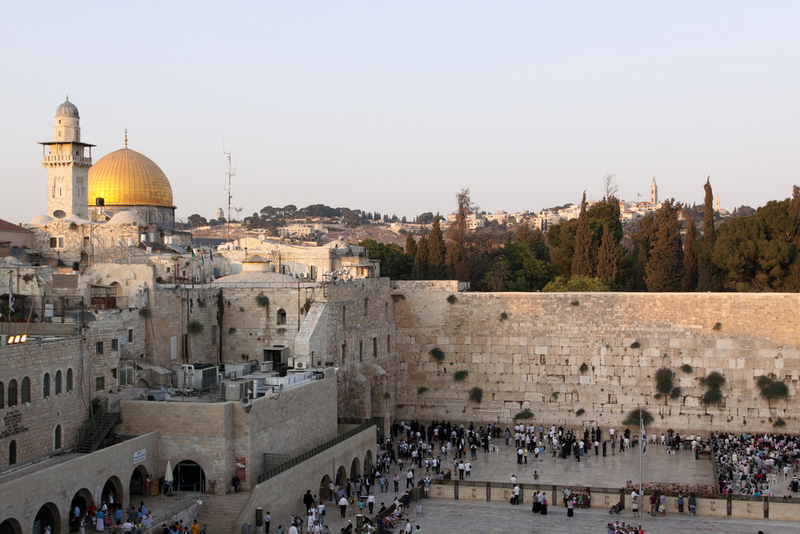 The Western Wall is the surviving part of the Second Temple, which was destroyed by Romans in 70 CE. There are several legends about the Wall’s origin. One of the most popular ones says the Temple was built by the order of the Jewish King Solomon in honor of the Jewish God, a keeper of peace on earth and guardian of all the nations of the world. According to Solomon’s vision, the Temple was supposed to be the most beautiful and sturdiest building in the world. On the night before the construction began, an angel came to Solomon, instructing him to entrust the Temple’s construction to the people instead of hired workers. That way, the rich, the poor, the old and the young – everyone can make their contribution according to their ability. King Solomon divided the Temple’s construction into four equal parts, the four sides of the world. And he entrusted the construction of each side to a different social class: the Eastern side to the wealthy, the Northern side to the statesmen, the Southern side to clergymen, and the Western side to simple folk. The upper classes began working with great enthusiasm, hiring the best workers, while the poor folk did the difficult construction work with their own hands, together with their wives and children. The wealthy class finished their part of the Temple first, followed by the ministers and clergymen, and the simple folk were the last to finish building the Western Wall. Many years went by. The Temple was destroyed by enemies and only the Western Wall survived. An angel came down to it, wrapped its wings around it to protect it from destruction, and said, “The Western Wall was built by the poor and destruction will not touch it…”. … Hundreds of years have passed, but the Western Wall is still indestructible, being a symbol of the Creator’s love for every one of us. Ever since the Temple was destroyed, Jews from the whole world consider this place holy. They go there to cry and pray to God. Besides spoken prayers, there is a custom to leave a note with a prayer in the cracks between the stone walls. 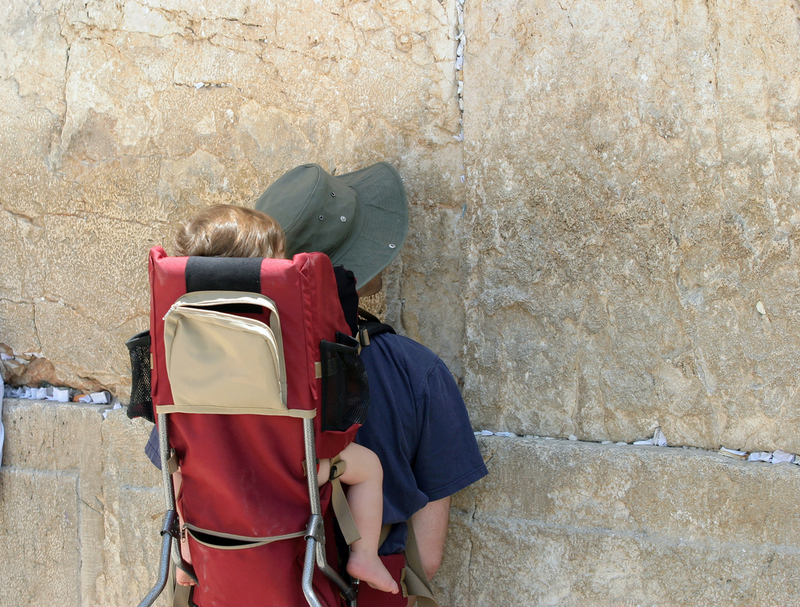 It is believed that any wish left in the Wailing Wall will be heard by the Lord and will come true. There have been cases of seriously ill people being cured, long-awaited children being born by couples who could not conceive, and family conflicts resolved. People from different countries and faiths ask for the same things: for peace, love, and blessing for themselves and their loved ones. God makes any wish come true if it is sincere and pure. Today you don’t have to travel hundreds of miles, get a visa, and buy tickets and hotel reservations to leave a note in the Wailing Wall. You can write a note and have it delivered to the Wailing Wall through our website, and it will definitely reach its destination! This is especially important for people who cannot make the trip to Jerusalem for physical or financial reasons. THE WAILING WALL ONLINE IS OPEN TO EVERYONE!